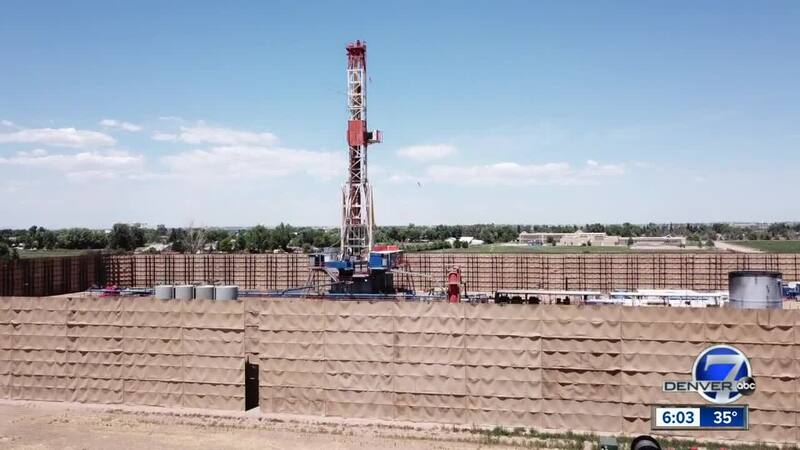 BOULDER, Colo. -- While lawmakers at the Colorado state capitol debate a bill to change the way oil and gas production is regulated in the state, researchers at the University of Colorado Boulder have come up with a way to better track methane emissions. Methane is a greenhouse gas that traps heat in the environment and contributes to climate change. Methane lives in the atmosphere for about ten years, traveling from the North Pole to the South Pole before eventually being destroyed in the tropics. Colorado has two main sources of methane emissions: natural gas production and livestock. “Methane is the same whether it’s emitted from oil and gas or whether it’s emitted from a cow.” Volkamer said. For years, it has been difficult for industries to determine whether livestock or natural gas production emits more methane. “They need to know what their impact is on the environment,” Volkamer said. In the past, methane emissions were measured by an airplane. However, Volkamer and others created the CU mobile Solar Occultation Flux to help measure methane emissions from the ground and determine exactly where they are coming from. It was developed as part of the Cooperative Institute for Research in Environmental Sciences (CIRES). “With our technique, we could show that the majority is produced from oil and gas and that the agricultural sources are a significant minor source for methane in the region,” Volkamer said. The conclusion came from data Volkamer and study co-author Natalie Kille, a PhD student at CU Boulder, gathered over a five-day period in 2015 and have been working to analyze. The researchers measured not only methane, but also ethane emissions, which is co-emitted from oil and gas producers. On the livestock side, the box measures ammonia that is co-emitted from the cows. By measuring all three, researchers can determine who is emitting what. The machine is tiny compared to its predecessors; it’s about the size of a car engine. It’s also a much more cost-effective way to measure methane. “This instrument is a tenth of the cost of another instrument that fills an entire room and it’s mobile, so it’s cost-effective for that reason,” Volkamer said. It is also, in principle, able to perform the same functions inside of an airplane if researchers want to use that method. Beyond that, the technique can determine exactly what methane was created in Colorado and which emissions were created elsewhere to give the state a better idea of its contributions to climate change. Eventually, this data could help natural gas producers, cattle farmers and state regulators figure out how to mitigate air pollution. The researchers are hoping to build on this data with a long-term study over several seasons to see how methane emissions change over time.